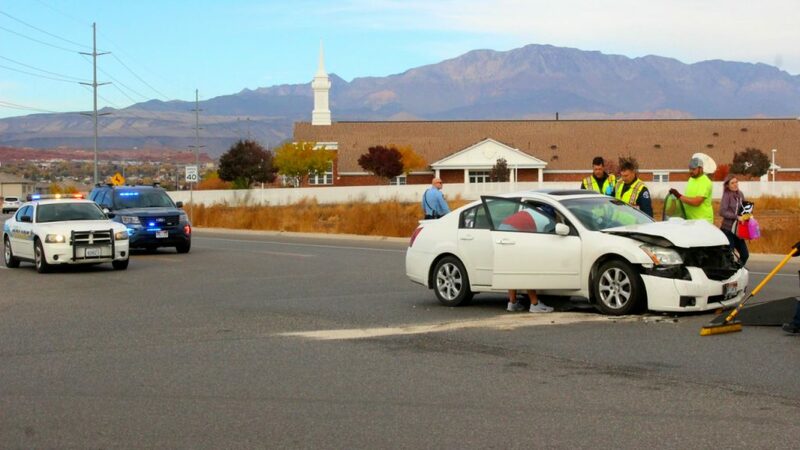 ST. GEORGE — Two drivers sustained minor injuries in a collision that was triggered when one vehicle pulled out in front of another near Washington Fields Friday afternoon. 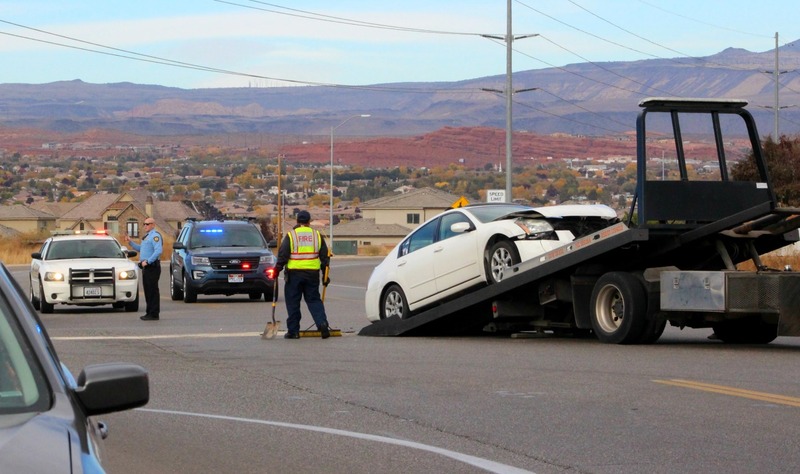 Just before 1:30 p.m. officers and emergency personnel responded to a two-vehicle crash at the intersection of 1450 South and South 3000 East involving a white Nissan passenger car and a red Hyundai sedan. Officers found the Nissan partially blocking the No. 2 lane of South 3000 East, while the Hyundai came to rest in the middle of the intersection. The two drivers sustained minor injuries when the airbags deployed. 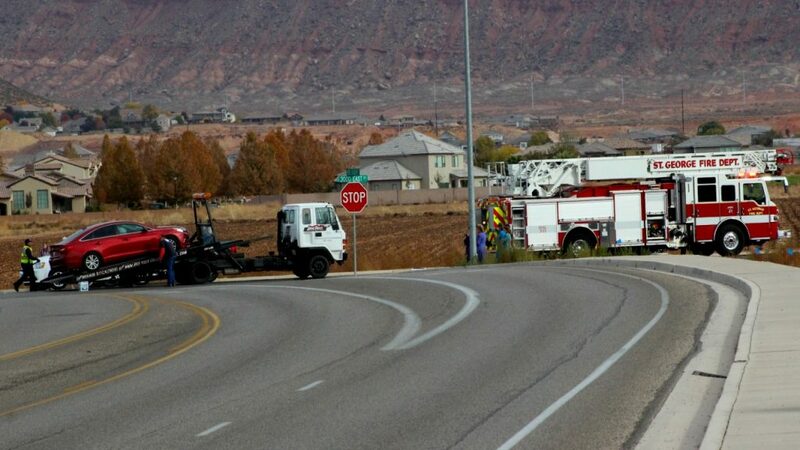 All other occupants reported they were uninjured in the crash, St. George Police officer Ken Childs said. 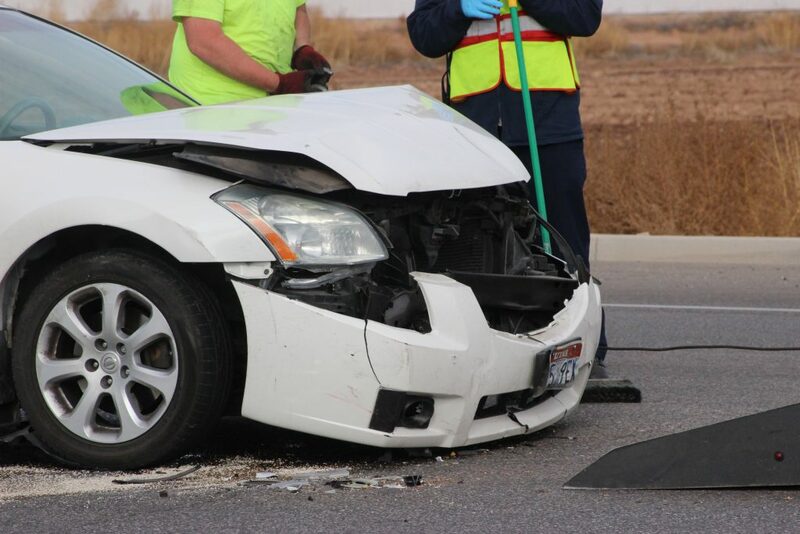 The Hyundai had been heading east on 1450 South and was stopped at the stop sign at 3000 East waiting to make a left turn, while the Nissan was heading south on 3000 East. A vehicle just ahead of the Nissan traveling in the same direction slowed to make a right turn onto 1450 South heading westbound. The Hyundai pulled out into the intersection and was struck by the Nissan. “The Hyundai driver saw the car that was turning right but didn’t see the Nissan going straight and pulled out thinking it was clear to make the turn,” Childs said. The three passengers in the Hyundai were soon joined by several family members who responded to the scene once they learned of the crash. 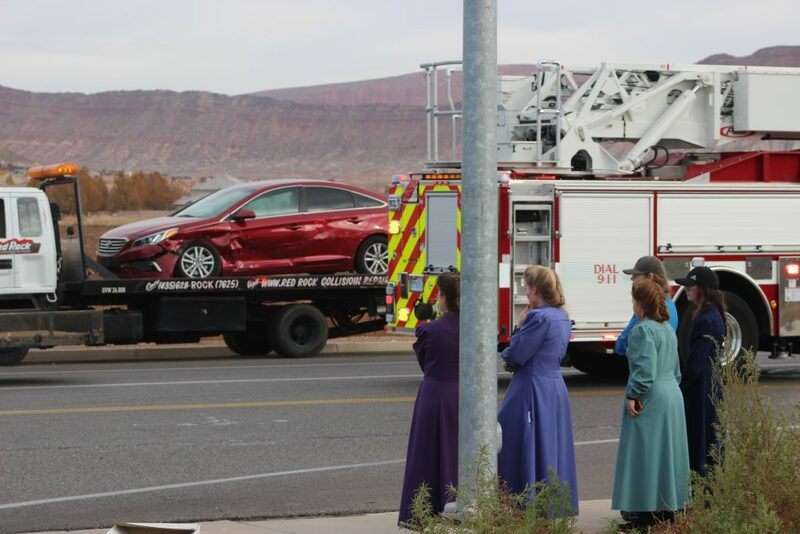 All occupants were properly restrained at the time of the crash. Both vehicles were extensively damaged and subsequently towed from the scene. The driver of the Hyundai was cited for failing to yield after a stop sign. This intersection is a nightmare and desperately needs a light!!! I have seen three accidents and DOZENS of near misses. I live nearby and often drive the long way around because this intersection is so dangerous! yeah right what ever you say Sherlock ! Last comment was correct, not sure where they get there license from..where do they get the money to buy a car? They don,t work live off gift. Help all have cell phones, that intersection is crazy, I take a different one if I have too..
Trump’s fault! Orange man bad!